I do not ask anyone for testimonials or reviews, these are unedited, unsolicited emails that I have received from customers who purchased my artwork. Thank you so much to everyone who's taken a moment to write to me, I really appreciate it! Mike loves his new shirt. 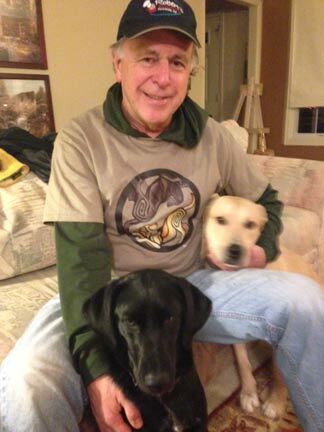 Here he is with our two dogs, Boo & Bo. Thank you, Fox. We love your art and your shirts. This is my AWESOME shirt straight from Foxloft Studios!! 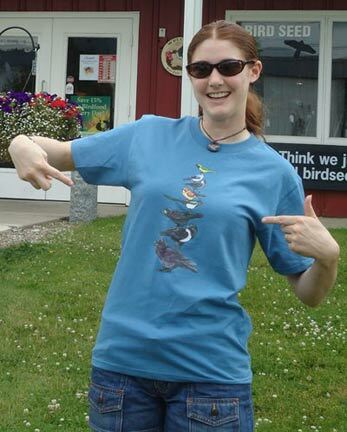 On it is Foxfeather Zenkova's piece "Bird Stack - Corvidae". I couldn't be a happier customer!!! I hava drum made by you and it has a beautiful sound. 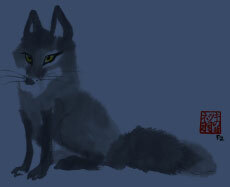 It brought me a name, "Little Fox", that's how I'm called in my shamanic journey group. Thank you. The drum is in my hot little hands, it's so beautiful, I've cried most of the day with the knowledge that I have something very special of the girls. I received the pendant this past Friday and I haven't the best words to describe how wonderful it looks. Hehe... it certainly is much bigger than what the photos made it to be. I shall cheerish the pendant always, and thank you for your gift. Cheers! The boar pendant is FANTASTIC! I LOVE it. 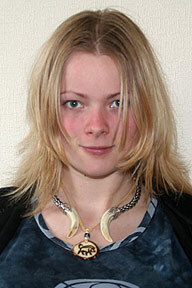 Plus, it sits neatly in between the two boar tusks of my torc. The length of the cord is a perfect fit indeed! Thank you SO much!! 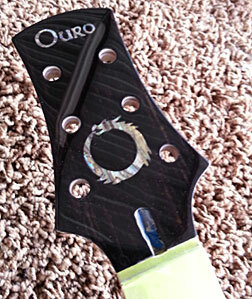 A while ago I commissioned a couple designs for a guitar inlay and a logo. I just wanted to show you how it turned out. I love it. Thanks again! Thank you for finishing and sending my pendent! I received it safely and attached is a picture of me wearing it. You were right, the colours are so much more vibrant in person! Thank you again, I look forward to ordering from you again! In love with this necklace. Thanks so much. its a perfect fit. Bracelet arrived today, and just like you said, it's absolutely gorgeous in person, so many little details, I love it! Thanks so much! Just received the vizsla yin yang I purchased for my best friend who loves vizslas. It far exceeded my expectations and I know she will be delighted with its beauty and uniqueness. I was easily able to order a drum with a custom hand painted inscription. The drum arrived last week and it looks great. The quality of the artwork is excellent. It was a pleasure to work with this company. Recently, I got a (raccoon) pendant from your website and I have to say, that it's VERY well made. Not only that, but the websites well designed too. It must've taken quite awhile to write something for EVERY animal and although the customization options for a pendant, in general, are limited, you definitely have more options than any other artist I've seen. I've worn it for a few days and I'm extremely satisfied with it. I just received the Yin-Yang Keeshond shirt I ordered for my son, and it's wonderful! You do great work and I love the good quality shirt. You should put a Facebook share link on your website! I already posted a nice comment on my wall to tell my friends to go there. 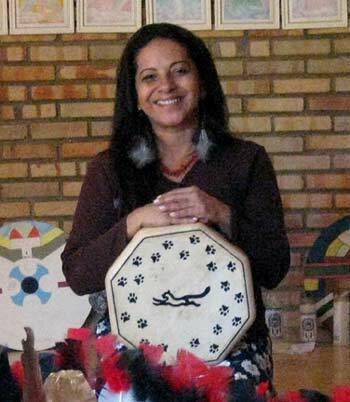 I received your beautiful drum today, It's now hanging on my wall above a Pueblo drum I had made many years ago. The two seem happy together. I'm looking foward to playing this drum. 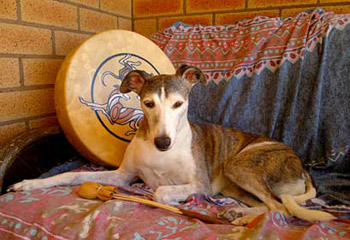 To my way of thinking the soul of each drum vibrates with its own voice -- just like all the rest of us do here. Thank you for creating this unique expression of the one harmony and passing it on to me for safekeeping. I just received the pendants I ordered from you, and I love them! They are really beautiful and have a very special feel to them - thank-you very much! I just got the package today, everything is great! And thanks for the card you sent, so cute! The originals are very great! We love them! My mother's birthday isn't until later this summer, but, when she and my dad came down to visit yesterday for Father's Day, I just couldn't resist giving her the genet pendant early. Thanks, again, for giving me the means to make my mom so happy! I'm incredibly glad that I commissioned you for this pendant as it's far surpassed my expectations and the scan (photo) you sent me doesn't begin to do your skill justice. You've been a pleasure to work with, being prompt, friendly and giving a reasonable amount of feedback on the commission during the process. Many thanks for taking this on. All in all, I'm thrilled with the way things have turned out and will be reccommending you to everyone I know and seriously considering further commissions in the future. The pendant arrived today!!! I really can't describe how amazing it is. It's fantastic. I really can't thank you enough. I love all of the details you can see in both the material and also your work. It gives me a warm feeling when I see the engraving on the back, so I definitely think that was the right choice. I really appreciate everything. It means a lot to me that you are offering these unique pieces of art, as well as engraving them. I think your inscription really helps make it even more personal and important. Thanks again, take it easy!!! I just got the otter Tagua pendant yesterday evening! Gosh, It's absolutely gorgeous. The picture online does no justice to this wonderful piece of fine jewelry. I must have sent a good half hour just studying all of the fine details, especially in the otter's face! This is certainly the best piece of jewelry I have ever purchased, I feel closer to my totem already! Thank you so much FoxFeather! The mug and pendant arrived safe today, they are beautiful! I just received the drum and the pendant. Beautiful work. And the sound of the drum is excellent. I felt I just had to let you know that the tagua pendant I recently ordered arrived and is amazingly beautiful! I have worn it everyday since it arrived and it makes me feel great! I look forward to buying more of your wonderful art in the future! I have to admit I was quite shocked to see such fine, detailed work on such a tiny surface. Truly, this little gem is more then worth the price I paid and I'm still excited about it. Thanks for the beautiful pendant, it's truly a one of a kind gift. As soon as I have some spare money again, I'm getting one myself without a doubt. That is so lovely! I had gotten this as a present for my boy and he's going to love it! ^.^ I'm so excited to give it to him, thank you so much! You've been absolutely wonderful and I hope to commission you again one day. With regards to the Wolfprint pendant ordered by David Macbeth in the United Kingdom on 18th Dec, the item was received on the 28th in perfect condition. I wished to contact you and express my thanks for the great job you did on it and for the speed with which you produced and had it delivered. I'm incredibly picky when it comes to jewellry, but I absolutely love this pendant. I would definitely consider buying more of your work at a later time as gifts. The necklaces came in today! They are perfect! I can't wait to give Steven his! I just thought you might want to know, Steven and I wear our necklaces almost constantly. I can't stop myself from holding the pendant in my hands sometimes, or turning it over to look at his name. We both really, really love them. One time I accidentally left mine at his house and he wore both until I got it back. I just wanted to say that I had put a coyote (my totem animal) Tagua pendant from you at the top of my Christmas wishlist and, thanks to my parents, was not disappointed. :) I wanted to send my thanks and compliments to you for the find craftsmanship; it's beautiful, and I've worn it every day since receiving it. Keep up the beautiful work. I've admired your art for a while now. Just wanted to tell you that they have safely arrived :D They are absolutely wonderful, again, thank you very much! I just got my pendent this morning, and wow. This is a very well done, it really is a mini piece of art. Thank you very much, and take care! 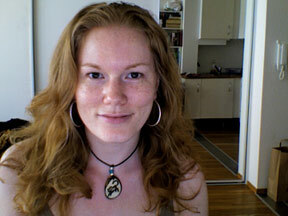 I am writing to thank you for the 2 amazing pendants (wild dog and eagle) I have just received from you. They are just spectacular! Many, many thanks. 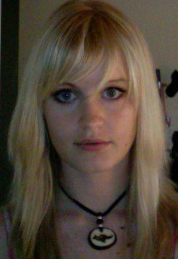 I ordered a Tagua necklace from you and I am highly impressed by it. For one it's beautiful, but mainly for how fast i had gotten it. Seeing as It's hand carved I thought it would have taken a while, but It came exactly one week since I ordered it, I have never had anything I've ordered come that fast. Not too mention that the shipping and handling was the least I've ever had to pay for anything, normally shipping up here to Alaska costs alot. Over all I am highly impressed and even more so highly satisfied. 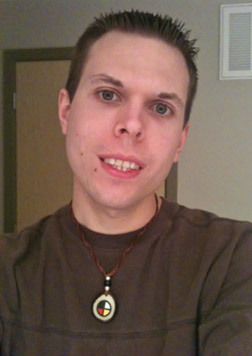 I received my Tagua fox pendant today and absolutely love it. It will make the perfect gift. I'm trying to decide on one for myself as we speak. Haha!